As one of the most important pillars of dissemination of the work done, a documentary film was shot depicting the pilot projects, whose true masterminds, the industrialists, explain their stories. In the documentary of the programme, which was actualized through the contributions of curator UNIDO, executer TTGV and Consultant METU, the cleaner production applications taken by six different firms who partook in the programme from five different provinces and different sectors is shown and commentary is given by the industrialists themselves. Why the Seyhan Basin River? 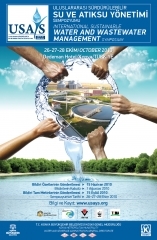 In “ International Sustainable Water and Wastewater Symposium” realized on 26-28 October 2010 at Konya Dedeman Hotel, “Adaptation to Climate Change in Industry: Pilot Projects for Water Savings through Eco-efficiency Approach” study prepared by TTGV and Prof. Dr. Göksel N. Demirer from Middle East Technical University was presented. On 9-11 June 2010, two article and one poster presentation whose titles were indicated below were realized in “3rd International Eco-Efficiency Conference”. Material flow Analysis and Eco-efficiency Training for National Experts” realized on 09-11 February 2010. “Eco-efficiency Basic Training for national Experts” realized in 28-29 January 2010.